New York, USA -- In October 2004, neuroscientist Fred Gage took a leap of faith and flew to India to present a lecture to Tenzin Gyatso, the current Dalai Lama. The religious leader had asked him to participate in a workshop on brain science at his compound in Dharamsala, in the foothills of the Himalayas. The Dalai Lama wanted to learn more about Gage's explorations at the Salk Institute in La Jolla into the adult brain's ability to generate new cells. As the spiritual leader of Buddhism, the Dalai Lama was intrigued that scientists had found evidence that some parts of the brain might renew themselves throughout life. The discovery seemed to fit well with the Buddhist view that meditation can reshape and expand the mind to foster happiness and cultivate compassion. Could science identify a physical signature of that effort somewhere in the vast landscape of the brain? Gage was wary. His colleagues had urged him to embrace the Dalai Lama's invitation, but he flew to India with unsettled questions. “One of the concerns was that a religious leader would have preconceived notions, and then whatever you said they would just use your words to further support their already established belief systems,” Gage said. In a November speech, the Dalai Lama made the connection between neuroscientists' research into brain mechanisms associated with attention and emotion and Buddhist meditation that is performed to heighten powers of attention and regulate emotion. “I feel there might be great potential for collaborative research between the Buddhist contemplative tradition and neuroscience,” he said at the Society for Neuroscience annual meeting. The two obviously come from two very different perspectives, explained R. Adam Engle, co-founder of the Mind & Life Institute in Colorado, which studies connections between Buddhist traditions and modern science. 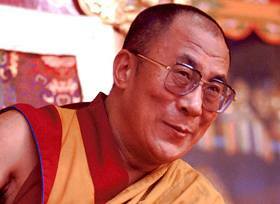 Aided by the interest of the Dalai Lama, that may be slowly changing. Studies are tackling questions such as: What do measurements of brain changes mean? How does meditation affect sleep, attention and memory? What are the benefits of meditation, and how can scientists begin to understand and measure them? People have studied the connections between meditation and brain physiology for years. Hundreds of studies of Transcendental Meditation, popularized by The Beatles, were conducted throughout the 1970s, but many were flawed, explained Sara Lazar, a Harvard Medical School neuroscientist. Only recently has research been rigorously performed, fueled by two developments. One is Gage's 1998 discovery and subsequent studies that new cells can in fact grow in the adult hippocampus, an area of the brain associated with learning, memory and emotion. It had long been thought that cellular growth stopped in the adult brain. The other is the continual refinement of technology used to image and measure changes in the brain. In the early 1990s, American scientist Richard Davidson traveled to India at the request of the Dalai Lama to meet with Buddhist monks who devote their lives to meditation. A Harvard-educated researcher at the University of Wisconsin, Davidson has since brought Buddhist monks to his lab. There he has hooked them up to an electroencephalogram, or EEG, that measures changes in the electrical activity of the brain. Brain cells communicate by producing tiny electrical impulses. During EEG studies, researchers place several electrodes on a subject's scalp to detect and record patterns of electrical activity in the brain. In his studies of monks, Davidson found that electrical activity was heightened during meditation in an area of the brain called the left prefrontal cortex, just behind the forehead. Scientists have associated activity in this region with positive emotions, as opposed to the right prefrontal cortex, where increases are associated with negative feelings. More recently, Davidson has found that longtime Buddhist practitioners of meditation can induce a heightened pattern of electrical signals called gamma-band oscillations – which are associated with concentration and emotional control – not seen in control groups. These changes are sustained even after meditating. “It remains for future studies to show that these EEG signatures are caused by long-term training itself and not individual differences before training,” Davidson and his colleagues wrote in their 2004 study in the Proceedings of the National Academy of Sciences. Understanding differences in EEG activity is problematic for the simple fact that neuroscientists do not yet understand what they mean. “What on earth is the relation between what we're seeing at the EEG level (with) these various rhythms and what is going on at the cellular level? We don't know,” said Patricia Churchland, a cognitive neuroscientist at UC San Diego who studies the nature of consciousness. At Harvard, Lazar has found that people who incorporate meditation into their daily lives have thicker brain tissue in regions associated with attention and sensory processing. Her results, published in November in NeuroReport, showed that those regions were 20 percent larger than in control groups. Practicing meditation regularly may slow age-related thinning of the frontal cortex, her study suggests. Of the 20 subjects studied, two were full-time meditation teachers and three were part-time yoga or meditation teachers. The rest were professionals in other fields who meditated an average of once a day for 40 minutes. Many questions remain, however. Lazar does not yet know whether the brain growth was due to increased numbers of neurons, more support cells or a growth in blood vessels feeding that area. It shouldn't be surprising that meditation alters part of the brain physiologically, scientists say. Musicians, linguists and athletes have thicker brain tissue in areas associated with their strengths and talents. In follow-up studies, she plans to study whether the increased thickness is correlated with increased attention and memory. Bruce O'Hara, from the University of Kentucky, has been interested in claims by Buddhist monks that dedicated meditation can reduce the need for sleep. If true, meditation might be of value to people with sleep disorders or those whose jobs leave them sleep-deprived. During sleep, neurons fire with more synchrony than during wakefulness. In the deepest stage of non-REM sleep, the dominate brain wave is called a delta wave. During meditation, brain cells fire with a different synchrony that produces alpha waves. The question is: Can alpha waves be as restorative and therapeutic as delta waves? O'Hara first put subjects to a psychomotor vigilance test, which is a simple measure of reaction time. During the test, subjects press a button as soon as they see an LED clock display begin to tick. Most alert people push the button after about 200 milliseconds. The test randomly repeats over 10 minutes, and a subject's results are closely correlated with how sleepy they are, going into the test. Each subject, none of whom was an experienced meditator, took the test after spending 40 minutes in casual conversation, reading, sleeping or meditating. Only when the subjects meditated prior to the test did their scores improve. O'Hara also tested subjects who deprived themselves of sleep the night before. Those who meditated right before the test performed better than those who did not. O'Hara next examined sleep-deprived subjects who took a nap right before the test. They actually did worse because it takes time to fully recover alertness after a nap. The biggest boost in performance was short-lived, O'Hara found. Meditating subjects, whether alert or sleep-deprived, still performed better on the test an hour after meditating, but their performance did decline. In future studies, O'Hara plans to use EEG tests to examine whether a boost in alpha waves during meditation correlates with a commensurate drop in delta waves during sleep after meditating. Such a measurement might provide evidence that meditation does restore the brain in a way that requires less sleep, he said. There are still many questions about what exactly is changing in the brain and what is behind the changes. UCSD's Patricia Churchland said meditation may alter production of peptides. More than 100 of the small-chain molecules populate the brain, mixed among the brain's billions of neurons, glial and oligodendrocyte support cells and blood vessels. One of these peptides, called oxytocin, has been associated with a general feeling of well-being, even a sense of trust in social situations. “If you wanted a source of speculative hypothesis, mine would be that the real story is going to be found at the level of the vast range of peptides that are sloshing around,” she said. For Gage, at the Salk, using neuroscience techniques to understand meditation's effect on the brain may teach scientists new things about human biology. “It's a very serious opportunity to use neuroscience and its knowledge to get insight into very, very complex behaviors,” he said. Some scientists disagree, however. Last fall, before the Society for Neuroscience meeting, a petition protesting the society's invitation to the Dalai Lama was posted on the Web. “It is ironic for neuroscientists to provide a forum for and, with it, implicit endorsement of a religious leader whose legitimacy relies on reincarnation, a doctrine against the very foundation of neuroscience,” the petition read in part. Gage said the decision to invite the Dalai Lama was a good one, and that neuroscience and Buddhist practitioners of meditation can legitimately focus their discussions on the brain and mind.